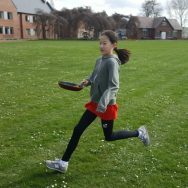 On Tuesday 5th March, the annual pancake race took place on the front field with 40 participants (8 from each house and age group) competing in a relay around a circuit. 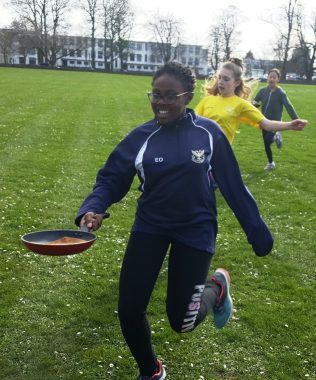 The competition was fierce with excellent tossing of the pancake as each participant went around the course. The eventual winners were Brunel House.